Dr. Holger Hestermeyer lehrt internationales Schiedsgerichtsbarkeitsrecht am King's College London. The developments in the UK in the last couple of days have left Continental observers wondering whether the home of pragmatism has taken a collective plunge into the abyss of irrationality. In Parliament, Her Majesty’s Government voted against the Withdrawal Agreement with the EU it had itself negotiated. Moderate Tories flocked towards a proposal of the ERG, the most eurosceptic wing of the party, that earlier was unacceptable and is now hailed as a compromise. All the while the Labour party is on a wild goosechase of its own, pretending a Customs Union with the EU that no expert considers achievable can resolve all problems. Despite the (to put it mildly) suboptimal handling of Brexit, an alleged shift in popular opinion against Brexit has not lifted the boats of the parties actually openly opposing Brexit to a significant extent. How in the world is one supposed to make sense of it all? The reason Continental Europe so often misunderstands what is happening in the UK is that it views events there either as developments in an international negotiation or as a crisis of the Tory party. The reality is that we are witnessing a constitutional system in crisis. One of the oldest constitutional systems in the world is trying to digest three paradigm shifts – and it is trying to do so in one gulp. The first paradigm shift is a move from parliamentary to popular sovereignty. UK constitutional law considers Parliament, not the people, as sovereign. Referendums are still rather new, occur rarely and sit awkwardly in the UK constitutional order. Popular sentiment, however, seems to have abandoned sovereignty of Parliament in favour of popular sovereignty. Brexit is an expression of this change. While legally the Brexit referendum was only advisory, there seems to be a broad consensus that Parliament cannot on its own refuse to follow the popular will. But what, precisely, is that popular will? What does the vote to leave the EU mean concretely? Leaving the institution EU? Leaving all EU law? Leaving the Court of Justice? The constitutional paradigm shift means the interpretation of the referendum result has gained, in the eye of the public and even in the eyes of MPs, a status that puts it above the decisions of Parliament as an expression of the will of the population. Invoking the expression of the will of the people in the Brexit referendum has become akin to invoking a constitutional rule in Continental systems. The tragedy is, however, that there is noone who can state authoritatively in detail what that popular will was besides merely leaving the organisation EU. The second paradigm shift threatens the traditional two-party system of the UK. In the past, identification with the Tory or the Labour party defined a person, whether MP or voter. If you knew one’s allegiance, you could have an educated guess of that person’s opinions across a wide range of areas. Modern society no longer seems to follow this pattern. On a variety of questions positions are not split along party lines, but divide the two parties. While this did, of course, also happen in the past – this is not a matter of black and white but of shades of grey – the number and the complexity of issues on which parties split seems to be rising. Brexit is an extreme case in this regard. Unlike other issues, it cannot be voted on and implemented in one decision, so that the parties can simply move on and put their split behind them. Both major parties have promised to implement the referendum result. But this did not resolve the issue. Brexit requires a range of decisions. All of them tempt, or even force decision-makers to revisit the original question that splits both parties: Should we leave the EU or not? The third paradigm shift concerns international treaties. The UK has traditionally been an outlier in the ratification of treaties. In other countries many treaties require a vote by parliament. In the UK Parliament can, when implementation is required, vote against implementing a treaty, it can even vote against a treaty to delay ratification. But it cannot vote to stop ratification. The consequence of this setup is that the government is used to negotiate treaties on its own, with little parliamentary involvement. Ironically (and leaving aside Member State Parliaments for a moment) the European Union used to follow a similar model until the European Parliament obtained the power to vote down agreements. When it did so with the ACTA Agreement the system began to change and Parliament started to be taken seriously in treaty negotiations as well. The same is now happening with the UK: Parliament voted down a treaty and government has to come to terms with the new role of Parliament, finding a way to include Parliament in treaty negotiations. Tragically, it has to do so under enormous time pressure with regard to a treaty that is vital for the country. The system struggles to adapt to the changes that are forced upon it. As always and everywhere in times of crisis, decision-makers tend to fall back on solutions that are tried and tested. In the UK that means keeping the party together (for the Conservatives after the elections this includes the DUP), for only a united party can govern or hope to govern in the UK system. It means that the opposition will fight to drive the government to the ballot box, as when worst came to worst it has always been a change of government that brought a solution. It means holding the government together, because it has always been the government, not Parliament, that held the reigns in treaty negotiations. At the moment, all of these traditional strategies seem bound to fail. Holding the party together has meant that both parties had to find a compromise that bridges a divide so large it cannot be mended by a realistic policy. An election would thus only exchange one party compromise that cannot be realistically delivered for another. And failing to find a way to work with Parliament might ultimately lead to failure in the negotiations. Many of the strategies might thus still have the veneer of the tried and tested, of stability. But it has become a disastrous stability. 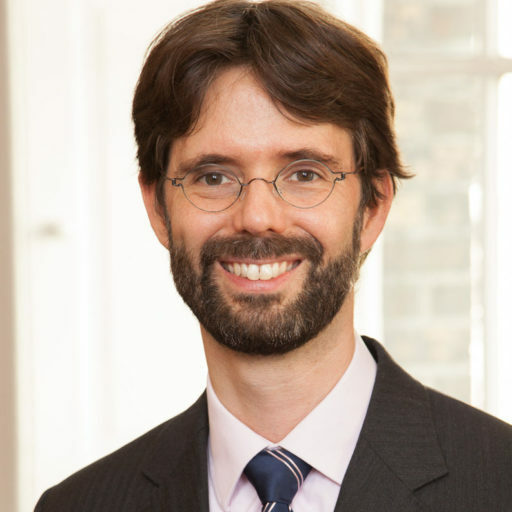 SUGGESTED CITATION Hestermeyer, Holger: Disastrous Stability: Brexit as a Constitutional Crisis﻿, VerfBlog, 2019/2/07, https://verfassungsblog.de/disastrous-stability-brexit-as-a-constitutional-crisis%ef%bb%bf/, DOI: https://doi.org/10.17176/20190211-213252-0. Thank you for this excellent analysis for what is going on in UK. Do you think according to this analysis Revoke and Reconsider would solution? There is a fourth crucial shift, ignored in England and actually at the centre of the current crisis, and it is the effects of Brexit on the devolution arrangements in the UK. NI and Scotland voted against Brexit. The NI problem has caused the negotiations to seize up completely. NI is currently lacking both an assembly and an executive, in itself stretching the GFA beyond recognition. Scotland’s parliament has been ignored, and there was even a case in the UKSC about its powers in relation to Brexit (the details of which are too complex to relate here). This is by far the gravest constitutional crisis, mostly ignored by England tying itself in knots over the powers of the Speaker to accept amendments or whether the Queen can refuse consent to legislation. A break-up of the UK is a much more momentous consequence than whether the party system will change. The first is pathological, the second one physiological change. All the attention is on the second. Easy mistake to make and often made by native English speakers too, but it should be "held the reins"(as in a horse) rather than "held the reigns" (as in a monarch). Small quibble, but the Commission has always required a mandate from the Council (i.e. one of the houses of the EU legislature) to negotiate international agreements. Cf. art. 113(3) of the 1957 version of the Treaty of Rome. Allesandra nails it. But the even bigger issue, if I can open up another Russian doll, is the UK’s demonstrated inability to defend its democracy from foreign interference, and this is an issue to be faced by all democracies now. The UK’s electoral system and lack of a written constitution were a disaster waiting to happen. That’s the outermost doll. "…The tragedy is, however, that there is noone who can state authoritatively in detail what that popular will was besides merely leaving the organisation EU. …" This to me is the core of the problem. Futhermore "the people" are no help at all in clarifying what their "will" was, and on what basis that "will" was developed – for instance did, and do they still, share the PM’s fixation on her "red-lines"? Are they aware that these red-lines dictate not just the WA but also the terms of any future trading relationship between the EU and the UK? Do they wish to adjust these red-lines in exchange for an economically less bad relationship with the EU? It seems to me that they are mostly just wanting to get Brexit over with and hope that the talent for muddling-through which they assume they possess will will make it turn out alright in the end. I can understand limiting this article to the three paradigms under threat – but have to add, as a Scottish liberal, that the three additional paradigmatic shifts mentioned above are crucial as well. First, Britain/England lacks a written constitution so nobody knows what on earth is going on. Secondly, although this lack has been partly alleviated by the UKSC case re. the power grab from the devolved nations, the half-cocked quasi federalism is in serious danger of breaking the state apart. Thirdly, the electoral system is a disaster zone. Allesandra is right: on top of the three paradigm shifts, the Northern Ireland issue is the most difficult to tackle. The tail (Irish border issue) is now wagging the dog (domestic policy in the rest of the UK: under what terms can they leave the EU) and that’s new too: before Brexit, Westminster politicians could safely ignore Northern Ireland. In the meantime, May is doing a great job wasting time so that there is no time left for an alternative (2nd referendum, renegotiation, preparing for No Deal) and her deal remains as only option. The UK does have a written constitution, it is called the Treaty of Union 1707 between the Kingdom of Scotland and the Kingdom of England. Brexit of any sort is a Breach of the Sovereign will of the Scottish people who voted Remain. This in turn is just the latest, but most significant, breach of the Treaty, and so it will cause the UK to dissolve. Excellent and thoughtful comments. I agree with your analysis.